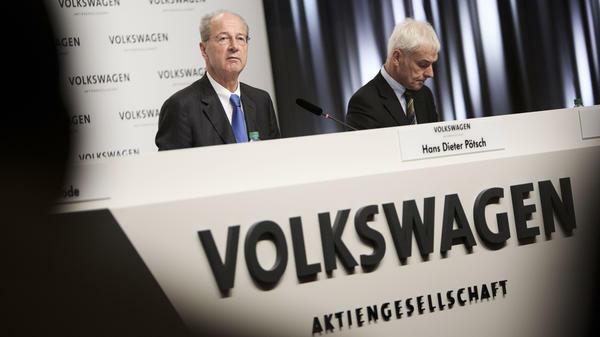 Volkswagen Chairman Hans Dieter Pötsch (left) and CEO Matthias Müller attend a news conference Thursday in Wolfsburg, Germany, to announce the latest update in the company's handling of its emissions scandal. Volkswagen's emissions cheating scandal was the result of a "chain of errors," Chairman Hans Dieter Pötsch said Thursday, admitting that the fault extends to the company as a whole, rather than a handful of rogue engineers. The company continues to maintain that only a small group of people were actively involved in designing and installing software that allowed diesel vehicles to cheat on emissions tests. But Pötsch said systematic issues — including, in some parts of the company, a tolerance for rule-breaking — allowed the deception to go undetected, as Esme Nicholson reports for NPR's Newscast unit. "He warned that no one, regardless of rank, would be spared from the ongoing investigations," Esme says. And for the first time, VW outlined how it thinks the cheating happened, NPR's John Ydstie says. 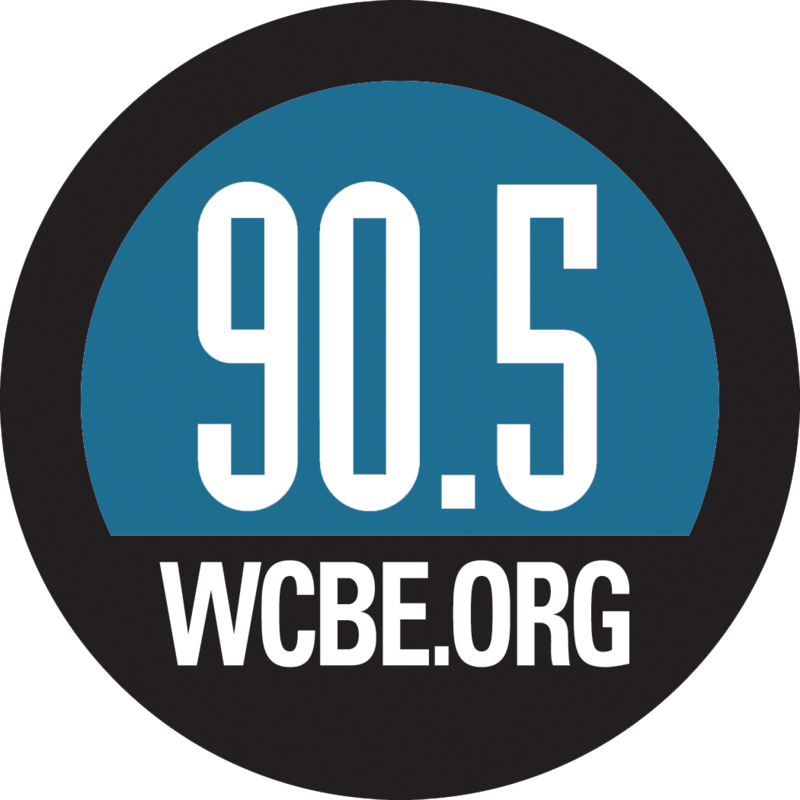 "It aligns with what many news outlets, including NPR, have reported," John says. "They said it started with the decision to launch this major diesel car campaign in the U.S. But VW developers couldn't figure how to meet U.S. emissions standards within the timeline and budget they'd been given, so they developed the software defeat device." Later, VW actually had the ability to install systems to make those cars run cleaner — but it stuck with the test-cheating software, which the automaker says was ultimately installed in 11 million cars worldwide. "They developed technology to make the engine cleaner by adding a liquid called AdBlue to the exhaust," John says. "But it wasn't implemented because it would have required owners of the cars to bring their cars in for maintenance more often. They thought that would put customers off." Volkswagen has announced a fix for vehicles in Europe, where nitrous oxide emissions requirements are less stringent than in the U.S., John says. The automaker still has not explained precisely how it will bring American vehicles into compliance. While they work on a fix, Volkswagen is offering some financial help to car owners. "VW officials repeated again and again that regaining the trust of their customers is their No. 1 task, and in that regard, they said that owners of the cars will receive compensation for the loss of resale value of the vehicles," John says. Pötsch also pledged that Volkswagen will take steps to prevent dishonest engineering from hitting the production line again. He said future Volkswagen emissions testing will be verified by third parties, and that it will also introduce "universal real-life tests in on-road driving," The Associated Press reports.